A: A Soviet-made KPV Heavy Machine Gun-! Q: Is it included/available in PR:BF2? The KPV-14.5 heavy machine gun (KPV is an initialism for Krupnokaliberniy Pulemyot Vladimirova*, in Russian as Крупнокалиберный Пулемёт Владимирова, or КПВ) is a Soviet designed 14.5×114mm-caliber heavy machine gun, which first entered service as an infantry weapon (designated PKP) in 1949. In the 1960s, the infantry version was taken out of production because it was too big and heavy. It was later redesigned for anti-aircraft use, because it showed excellent results as an AA gun, with a range of 3,000 meters horizontally and 2,000 meters vertically against low flying planes. It was used in the ZPU series of anti-aircraft guns. 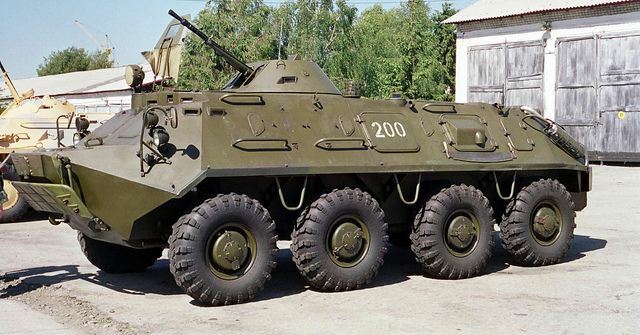 Its size and power also made it a useful light anti-armour weapon on the BTR series of vehicles and the BRDM-2 scout car. Now let's go to the main gun topic, KPVT-! The version for use in armoured vehicles is called the KPVT (tankoviy, 'tank'). KPVT is used for armoured vehicle installations, boats, movable and stationary mounts and various anti-aircraft mounts. It features a shorter receiver and a heavier barrel jacket. TheKPVT also uses a 50-round belt instead of the original 40-round belt. 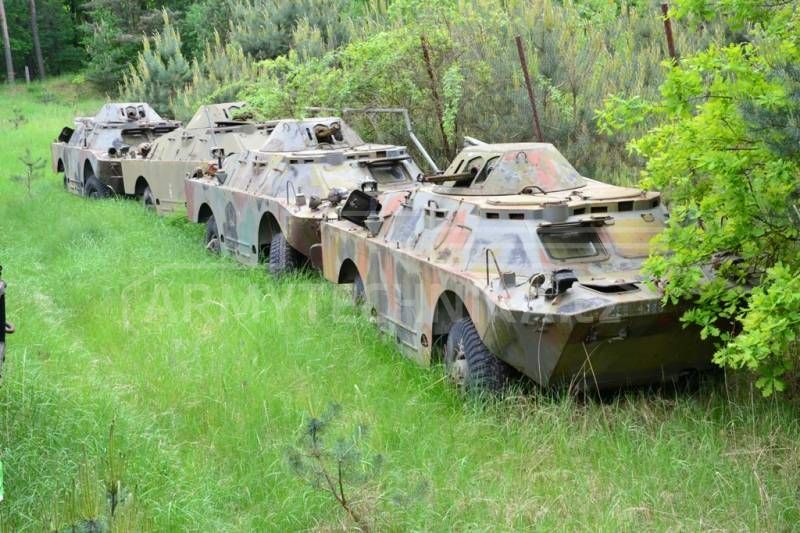 KPVT's are the primary armament of the wheeled BTR-60PB/70/80 series armoured personnel carriers* and BRDM-2 armoured reconnaissance vehicles*. It is intended for fighting against light armoured targets, weapons systems and light shelters at the distances of up to 3000 m, as well as air targets at distances up to 2000 m.
The distance at which the bullet retains lethal force is 8 km. The maximum flight range of the bullets is 9 km. The development of the machine gun began in 1944. The 14.5×114mm M41 cartridge can be used with High Explosive Incendiary - Tracer (HEI-T) or Armour-Piercing Incendiary (API) bullets, and they have approximately twice the energy of a 12.7 mm (.50 BMG) projectile. The KPV is air-cooled and fitted with barrel with a hard chrome plated bore. It uses a short recoil operation system with gas assistance and a rotary bolt. It can be fed with the 40-round metallic belt from either the left or right side. The barrel can be removed by turning the prominent latch on the forward end of the receiver and pulling on the barrel's carrying handle. The ZPU** is a towed anti-aircraft gun based on the KPV. It entered service with the Soviet Union in 1949 and is used by over 50 countries worldwide. *Quadruple- (ZPU-4), Double- (ZPU-2) and single-barreled (ZPU-1) versions of the weapon exist. *BTR-40A SPAAG - A BTR-40 APC with a ZPU-2 gun mounted in the rear. Entered service in 1950. *BTR-152A SPAAG - A BTR-152 with a ZPU-2 mounted in the rear. Entered service in 1952. The first dedicated Soviet mount for anti-aircraft machine guns was developed around 1928 by Fedor Tokarev and was adopted for service in 1931. It was a base for mounting up to four 7.62 mm PM M1910 (Russian Maxim) guns. This was also called a ZPU, although the name М-4 was also assigned to it. It served the Soviet armed forces in all major conflicts until 1945. The series was used during the Korean War by Chinese and North Korean forces, and was later considered to be the most dangerous opposition to U.S. helicopters in Vietnam. Later it was used by Morocco and the Polisario Front in the Western Sahara War. It was also used by Iraqi forcesduring Operation Desert Storm and again in Operation Iraqi Freedom. In 1974 the Cyprus National Guard artillery batteries used their ZPU-2's against the Turkish air force. In the Russian military, it was replaced by the newer and more powerful ZU-23 23 mm twin automatic anti-aircraft gun. The type has seen widespread use by all sides in the 2011 Libyan civil war and Syrian Civil War often mounted on pickup-truck technicals with plenty of videos showing the gun engaging different targets. The Lebanese Army has mounted the ZPU-2 and ZPU-4 on M113 armored personnel carriers to create armored self-propelled AA vehicles. 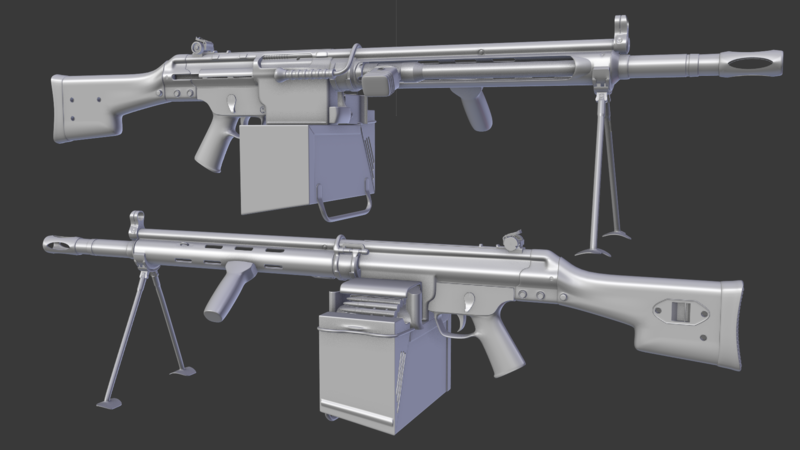 Thanks for reading, hope that helps people that unfamiliar with the guns in-game (Project Reality). Please leave any comments below on this thread-! Sources: Wikipedia, tank-encyclopedia and many other sources..